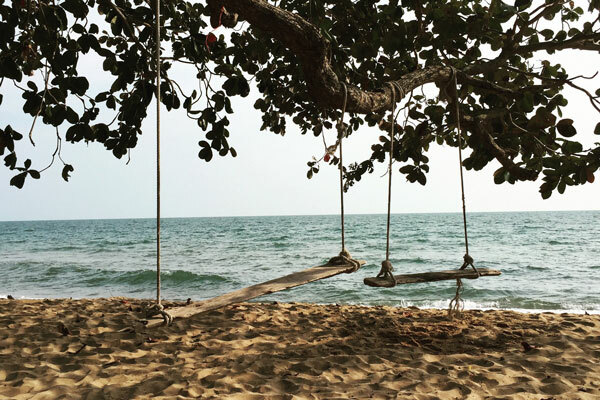 A vacation in Laem Sing, Chanthaburi can be as relaxing or moving as you wish. 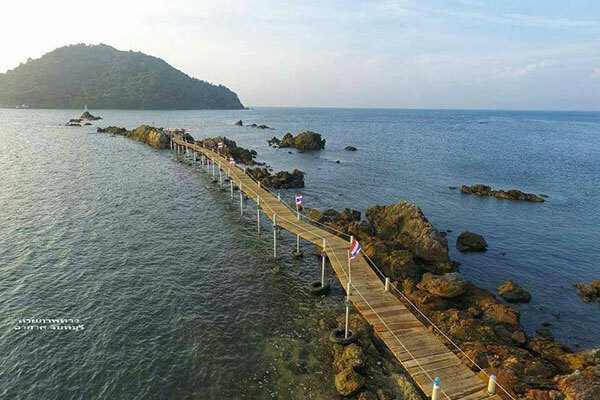 In Laem Sing alone, there are a number of attractions and activities enough for you to enjoy over a weekend. 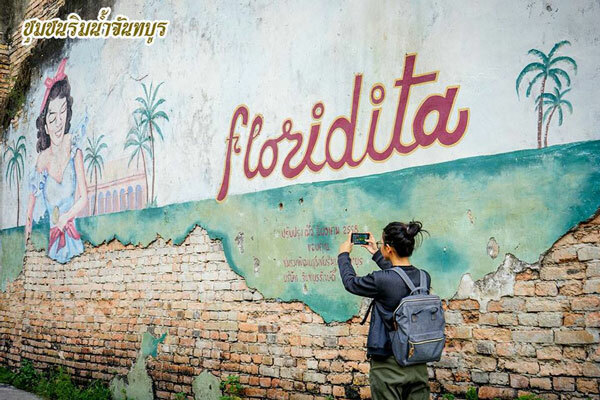 But if you happen to have some spare time, there are more fascinating places to visit in Chanthaburi. Below are our recommendations. In 1893, Kuk Khi Kai was built by the French to imprison Thais who resisted them in the conflict with Siam over the land on the left side of Mekhong river. About 3 km. from the prison, located the famous ‘Red Building’, which was constructed from the bricks of the old fortress nearby. It served as the military base for the French who defended Laem Sing outlet. 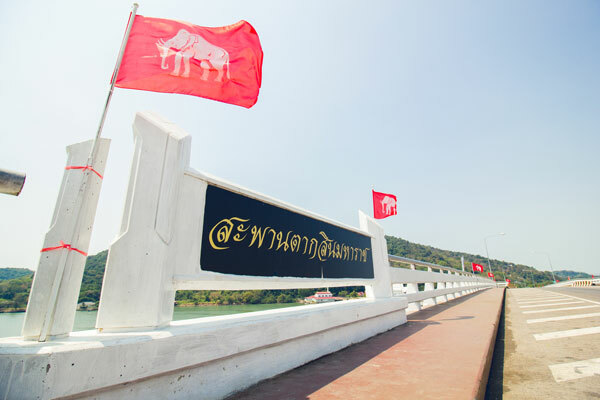 Laem Sing bridge is one of the most beautiful viewpoints for sunset in Chanthaburi. Looking from the bridge, you can observe the local fisherman village and view the Chanthaburi river outlet. Moreover, Laem Sing bridge is the longest bridge in the east of Thailand. Kra-ting bay is located in Khao Laem Sing Forest Park (operating hours: 08.30 – 16.30) and is a perfect spot for total beach relaxation. About 200 meters down the stairs from the park entrance, you will arrive at the peaceful golden beach. 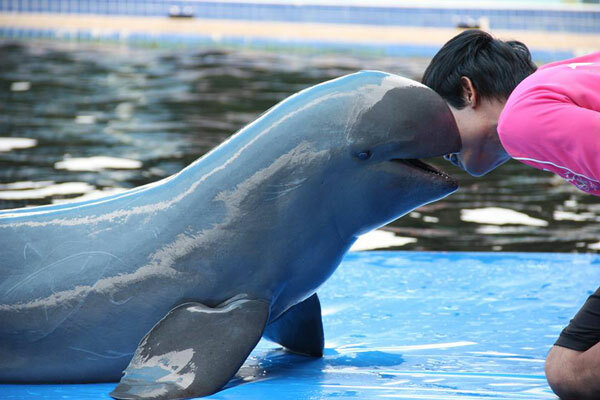 Oasis Sea World is the only dolphin conservation and breeding center mainly for the Bottlenose and Irrawaddy dolphins which are native to Chanthaburi area. It offers not only dolphin shows but also other entertaining activities such as playing with dolphins and fish spa. These dolphins were mainly accidentally caught in fishermen’s nets in the Gulf of Thailand before being treated and trained by experts. Phlio waterfall comprises of 2 rivers cascading down through the cliffs to the large pond below. Visitors can dip themselves in the crystal clear water, observe and feed hundreds of freshwater fish in the pond, and just enjoy the beautiful scenery. 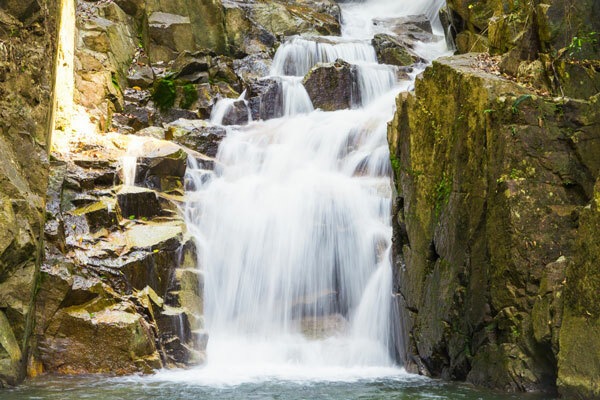 Other attractions and activities in the park include the stupa of the queen of King Rama V and, other waterfalls, and nature exploration trail. 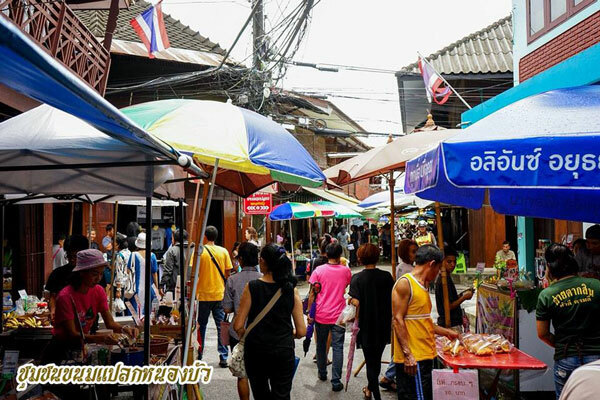 This community is known for its Thai desserts which are scarce in other parts of the country. Apart from dessert testing, visitors can take a boat trip to observe the way of life of the local fisherman or go on foot to check-out the old Thai wooden houses. Best time to visit Nong Bua community is on Saturday and Sunday from 10 am to 3 pm. This is the largest gems and jewelry center not only in Thailand but also in Asia. Visitors can expect to emerge themselves in the gems industry start from the origin of gemstones to the jewelry production. 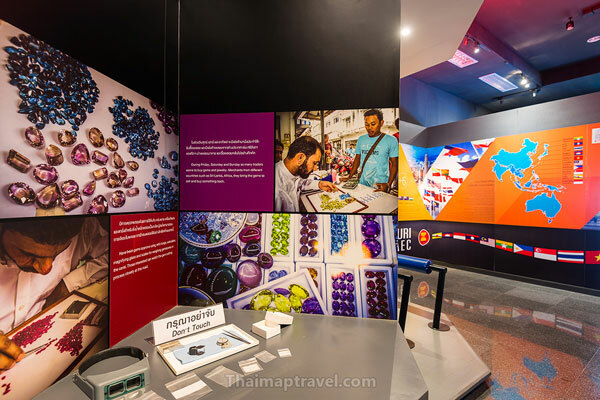 Unlike other gems and jewelry center, it also offers an interactive experience for its visitors on top of the regular exhibitions. 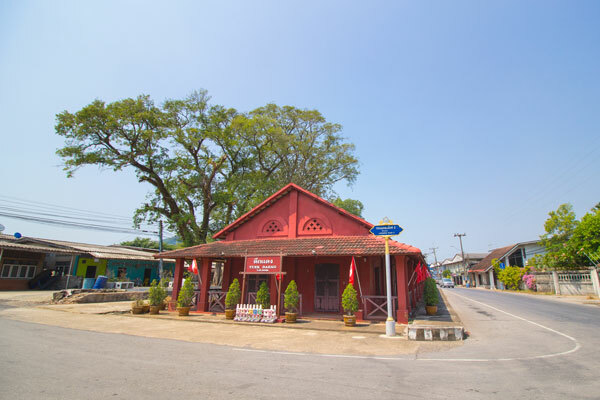 With its unique landscape, architecture, and culture, Chanthaboon historic waterfront community is one of the most popular places to visit in Chanthaburi. The vibrant culture of the community is a result of the combination of its diverse residents, Thai, Chinese, and Vietnamese, that settled down in this area 300 years ago. Visitors can stroll or bike through the main street where they can find local art galleries, coffee shops, and street food stalls. 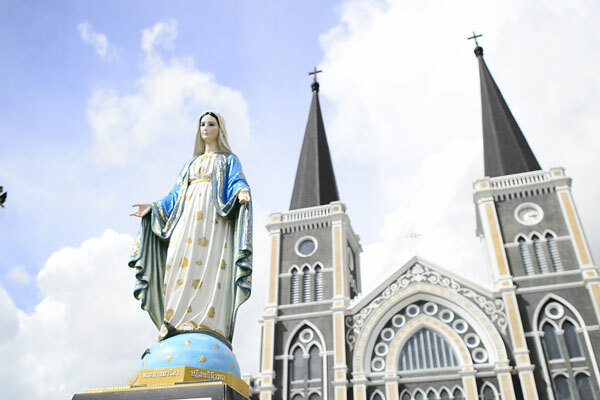 Known as the largest Catholic building and most beautiful church in Thailand, Cathedral of the Immaculate Conception was build in the Gothic style and decorated with stained glass windows. 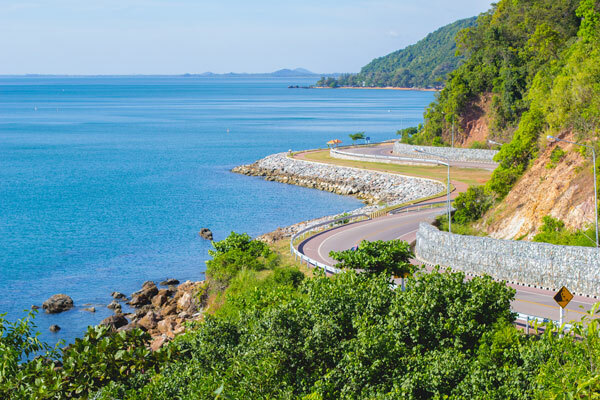 Looking at the sunset, the curves of the road that go along the cliff, and the sea, one can say that this is one of the most stunning viewpoints in Chanthaburi. Moreover, the viewpoint is located on Chalerm Burapha Chonlathit scenic route, which is promoted as 1 of the 10 dream destinations in Thailand by the Tourism Authority of Thailand. Baan Hua Laem pagoda is located 50 meters offshore at Kung Krabaen Bay. The local fishermen have the tradition of praying for safety before setting sail.